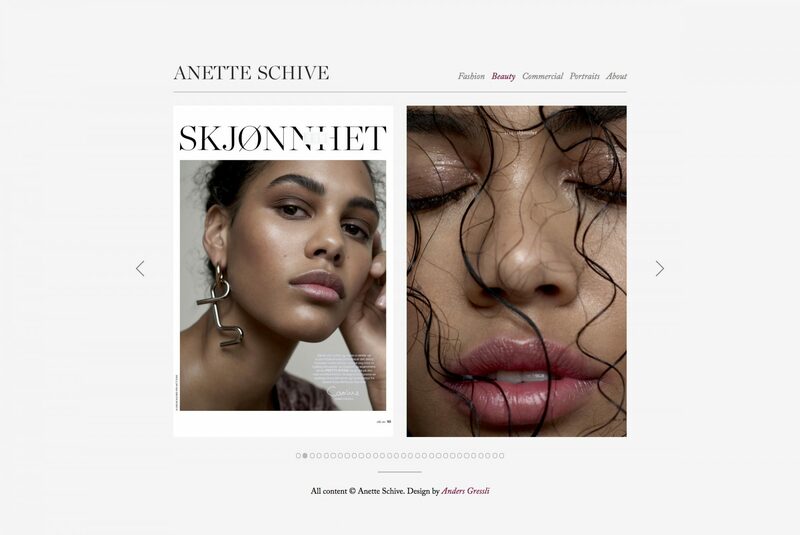 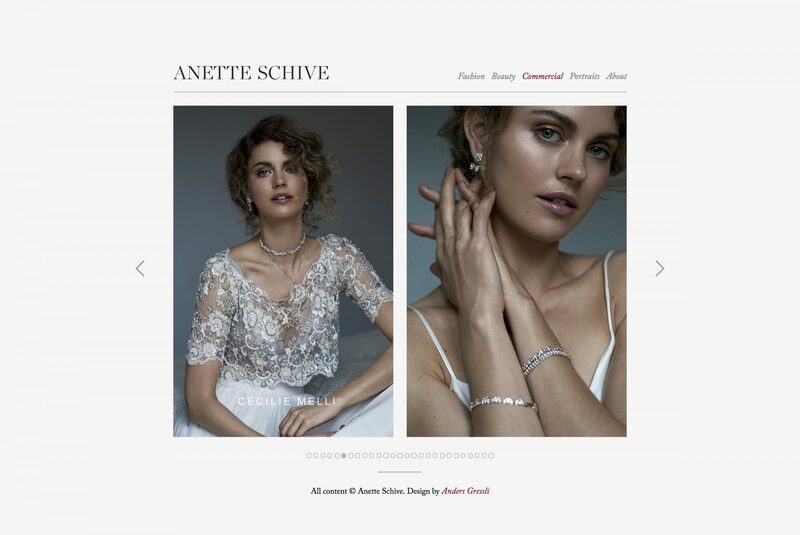 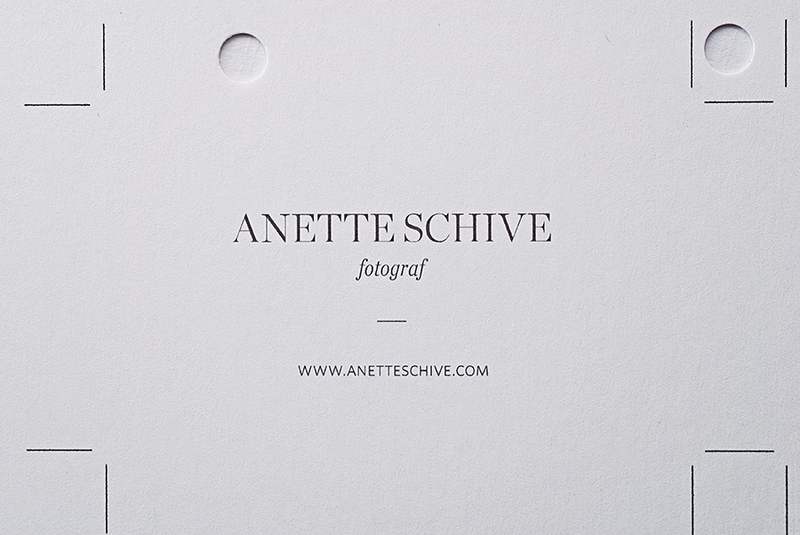 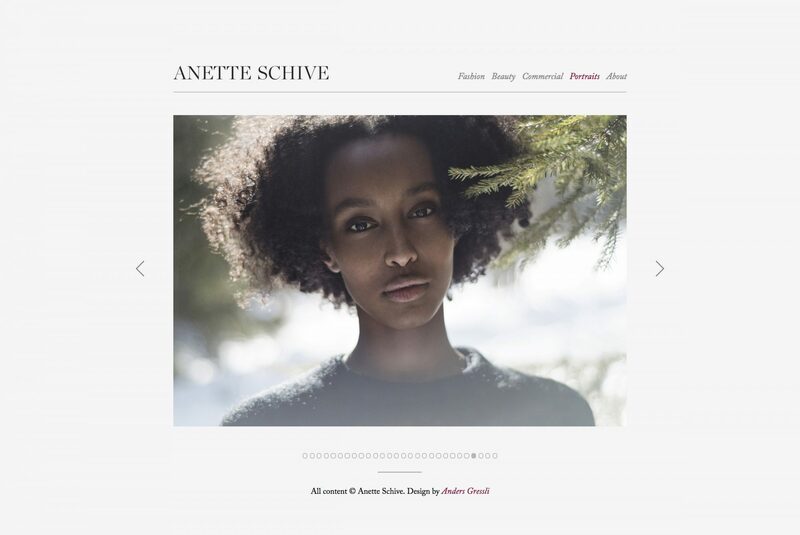 Anette Schive is a Norwegian photographer specialized in portraiture, fashion and beauty. 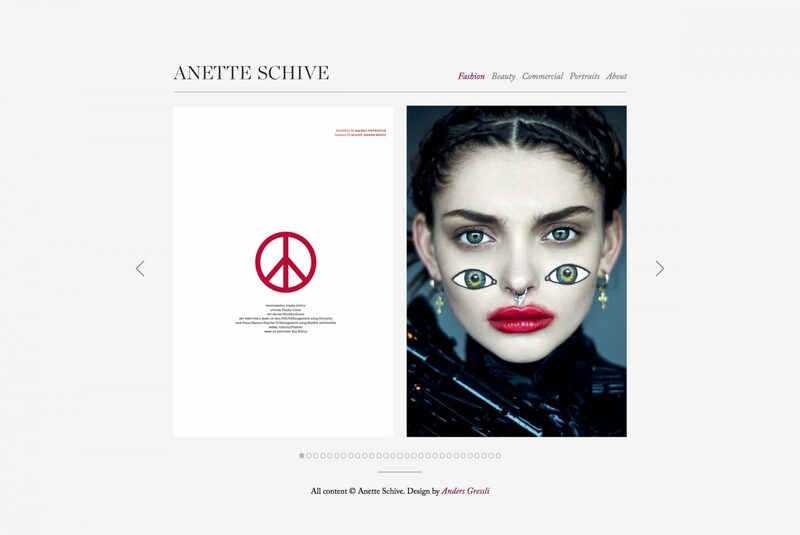 The website is designed and developed by me. 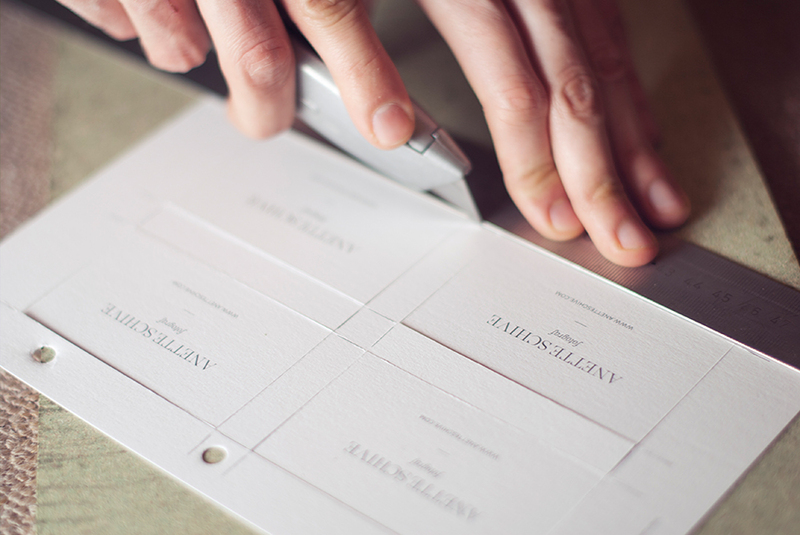 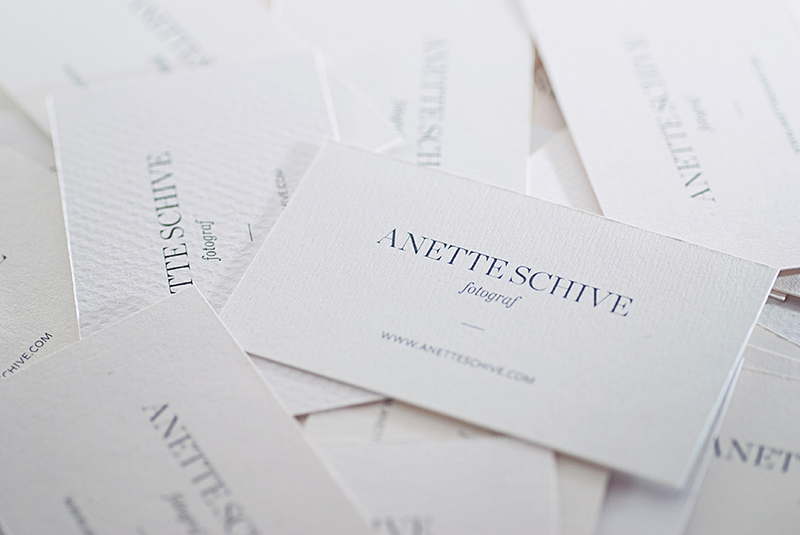 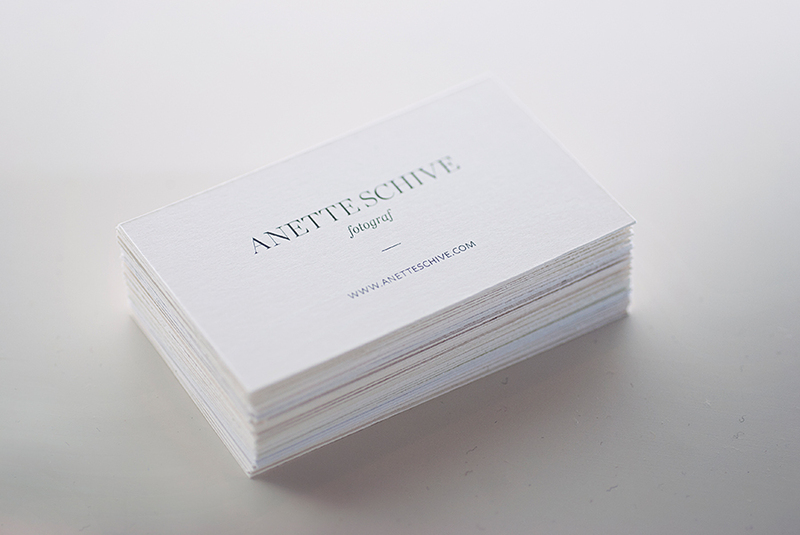 The business cards are printed on various paper samples, 250–300 gsm, and cut by hand.